Don't take anything this account says seriously, it's just for jokes. Nothing said towards you, or your project is meant seriously, it's all just for a good laugh from your favorite Lord Frieza. Ruler of the galaxy, and universe. 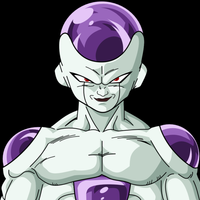 Update: Everyone wanted a YouTube for Lord Frieza, well now you have one! All of my Casting Call Club auditions will be there, along with Frieza Plays where your favorite tyrannical ruler plays awesome video games! Probably out of your budget, but let's talk. Every race in the galaxy. They all bow to me! "Lord Frieza really delivers! On blowing up my world!" -Nail from Namek.